Wigwam® Holidays Charnwood ForestGlampingWigwam® Holidays Charnwood Forest offers superb glamping accommodation in the heart of the spectacular National Forest. Located just five minutes from the M1 J22, the site has six en-suite Running Water Deluxe Cabins which are fully heated and insulated. 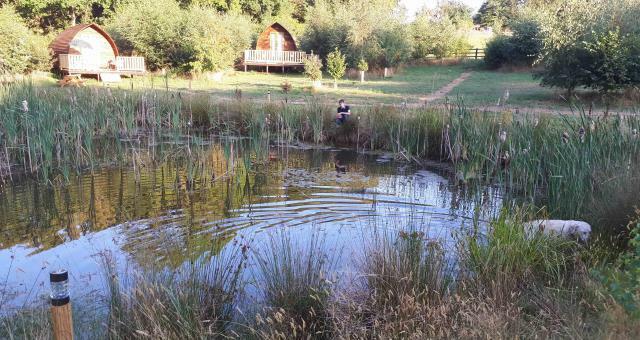 Wigwam® Holidays Charnwood Forest has a lovely hot tub with one of their Running Water Deluxe Cabins (Willow). This facility can be added as an extra to the regular tariff. Wigwam® Holidays Charnwood Forest offers superb glamping accommodation in the heart of the spectacular National Forest. Dogs per permitted by prior arrangement, max. 2 per cabin charged at £8 per pooch per night.